Choose from any of our sponge flavours, including Vanilla, Red Velvet, Dark or White Chocolate, Lemon, Orange or even Carrot and Pecan. 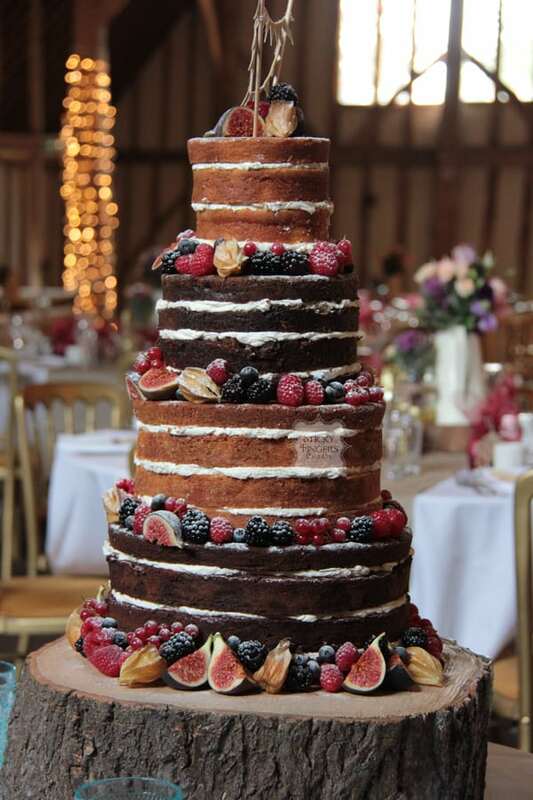 You can choose to decorate your naked wedding cake with fresh flowers, (supplied by your florist), or with fresh berries. The cakes are freshly baked the day before your wedding and delivered and displayed as close to the time as possible so as to keep the cake lovely and fresh! Prices start from £225 (depending on how many portions you require). If you’d be interested in a quote please don’t hesitate to contact me to arrange a tasting consultation.